We’ve spent over a decade refining the ConDoc System’s Layers and Model Organization strategies. 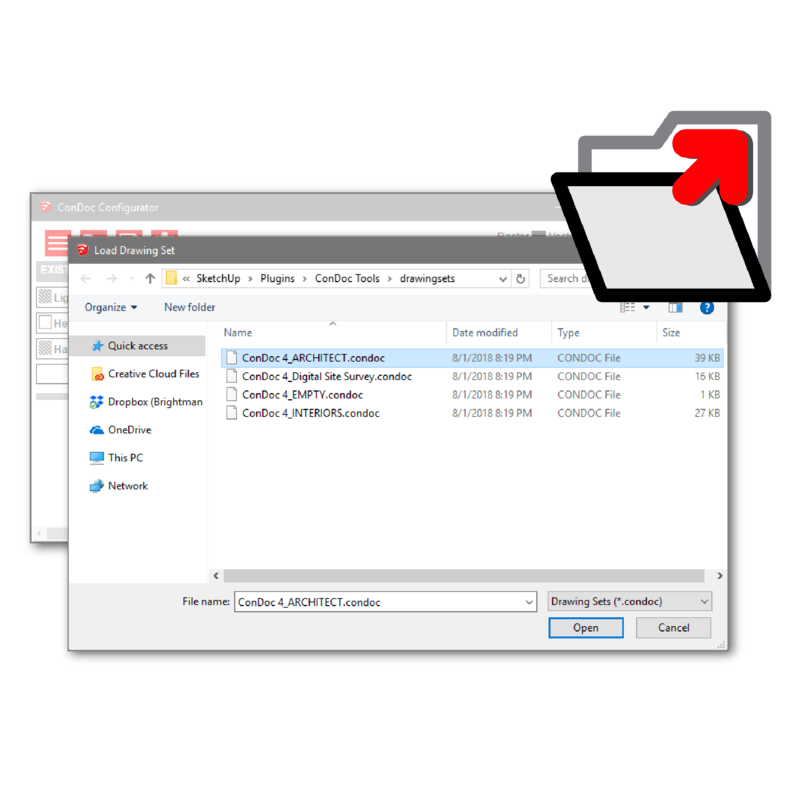 ConDoc provides an optimal workflow for all user types. From the architect who hasn’t made the jump to 3D …to the interior designer needing to visualize a space… The ConDoc System is SketchUp Standards. The Indicator Icon will correct your layer when you get off track and also allows you to quickly toggle line weights in DRAFT mode. The Model Level Navigator tells your location in the model by combining group nesting and layering information into one string of text. 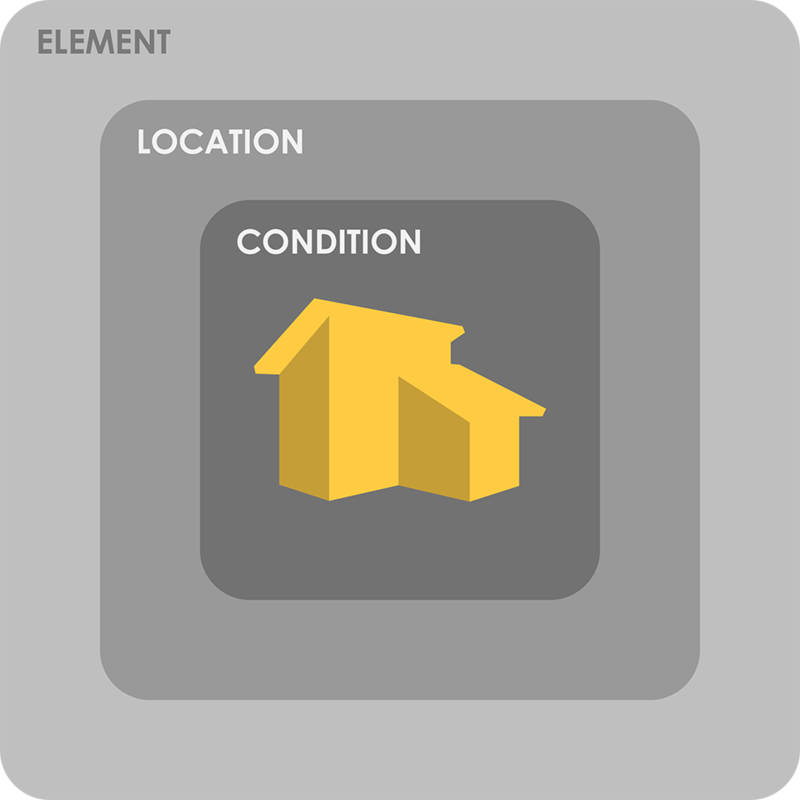 The Model Complexity Meter keeps you aware of excessive geometry. DESIGN mode offers a snappy, light-weight environment for modeling. 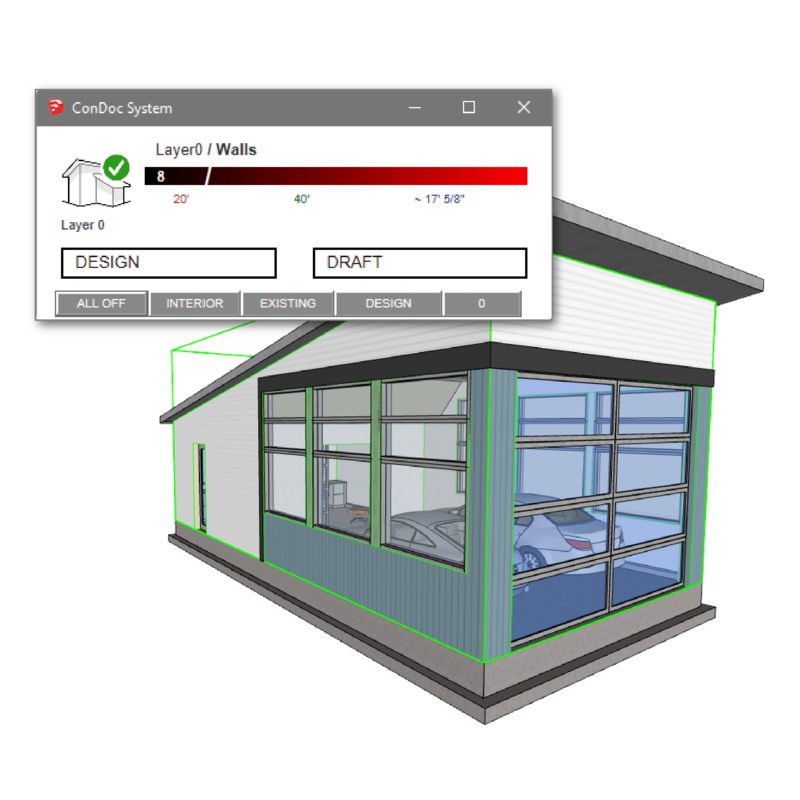 DRAFT mode provides a 2D CAD-like drafting platform inside SketchUp! All the layers, styles, and scenes are now embedded with your .condoc file. 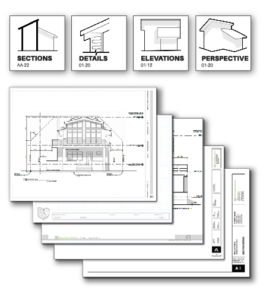 We spent the last ten years meticulously refining our SketchUp standards; why invent your own? Included in your purchase are drawing sets that you can load for Architecture, Interior Design, Landscape Design and more. Take the best parts of our deep experience and immediately make it your own. Who has time to build every detail in 3D? 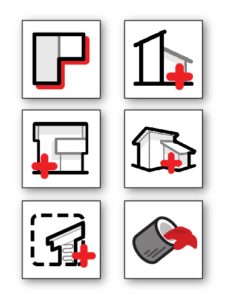 For those who need to get down to business and get projects permitted and built, 2D CAD is embedded right in SketchUp! Make location maps, building details, and simple line diagrams when you need to. Once you’re mastered the stock version of ConDoc, you can use the Configurator to make it your own – and we can show you how! 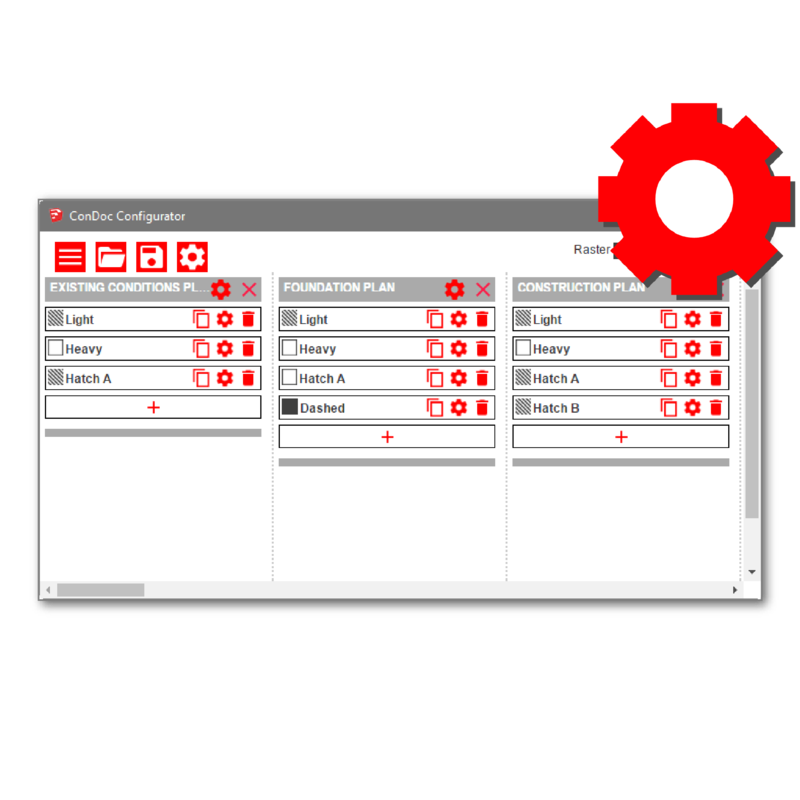 The ConDoc Configurator makes “your ConDoc” using your own layers. Need a sprinkler plan? A lighting plan? How about a banquet hall dining plan for events? 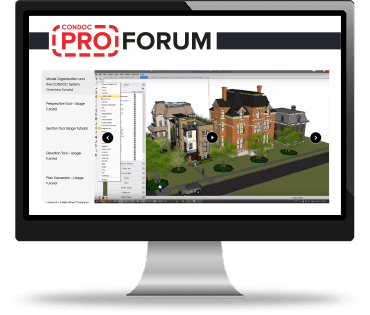 This isn’t just a tool for just architects – it’s for anyone using SketchUp to design, draw, and develop their best work. 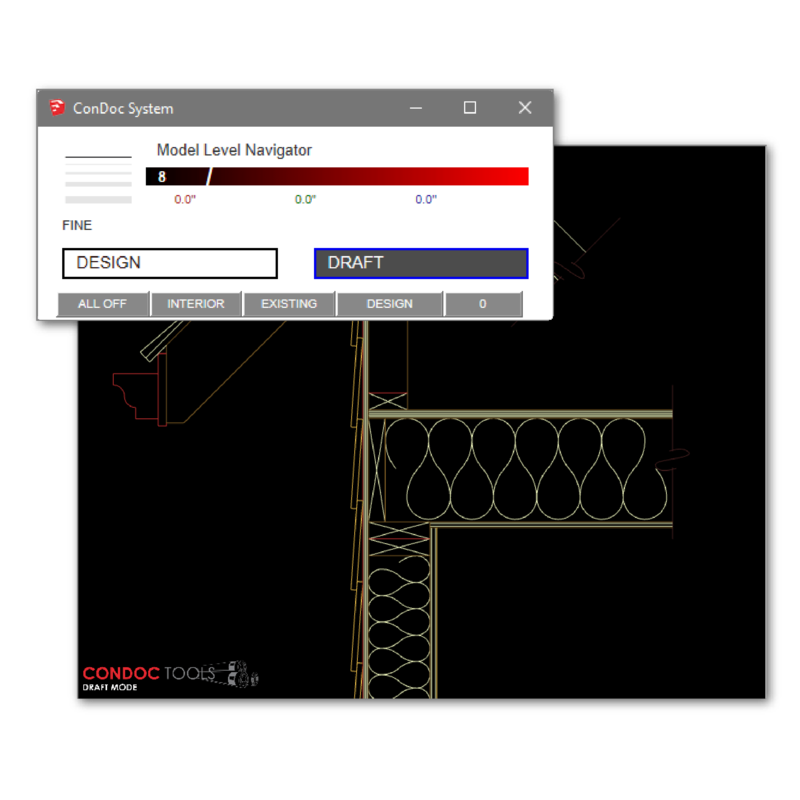 And for those who don’t want to tinker with the Configurator, no worries – ConDoc works right out of the box! So go ahead, dip your toe in the water without any long-term commitments.